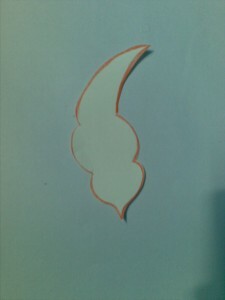 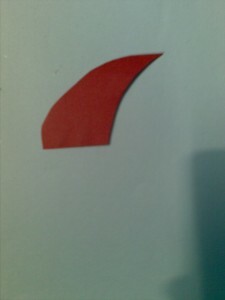 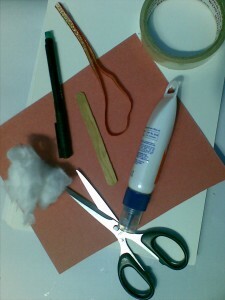 Draw and cut out a shape as shown below. 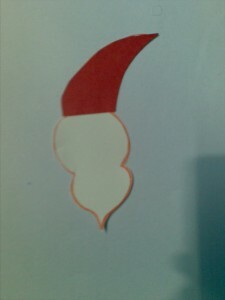 Cut out a santa hat of the same size and glue it on to the shape cut out in card. 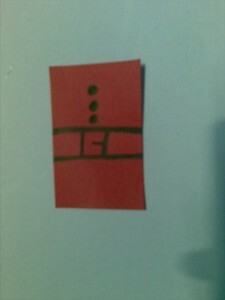 Cut out a small rectangle to make Santa’s dress. 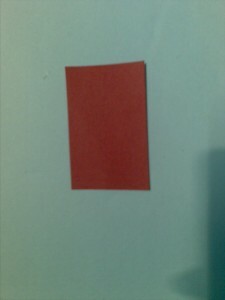 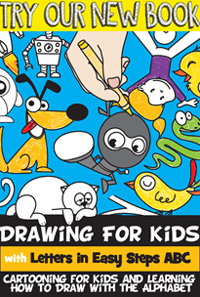 Draw the Santa’s dress as shown. 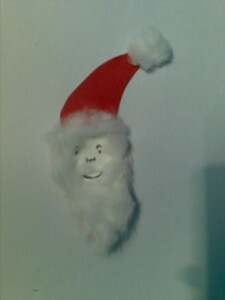 Draw Santa’s face. 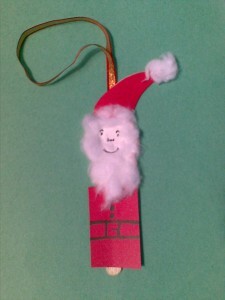 Glue cotton on the sides of Santa’s face and beard. 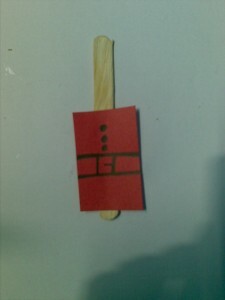 Glue Santa’s dress on the Popsicle stick as shown. 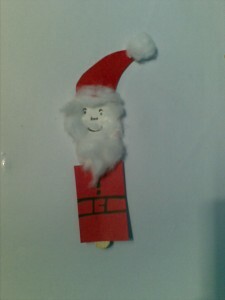 Glue Santa’s head on top of the popsicle stick. 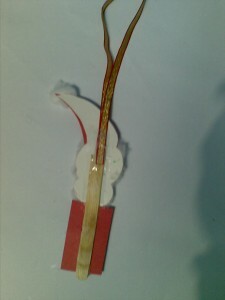 Tape a piece of ribbon to the back of the Popsicle stick as shown.